On January 16th Leogriff was invited to Norway Health Tech HQ in Oslo Science Park to conduct an IPR seminar for SMEs that are part of the EU-funded INNOLABS-project. There was a clear need among the participating companies to realize that IP and IP management is a significantly broader field than just applying for patent protection, and that there are ways to plan ahead and document ownership in order to save costs. The main focus of Leogriff’s presentation was on how interconnected business strategy and IP strategy is, and on ownership, mitigating risk, cutting cost and increasing revenue. Andreas Dietzel, IP Manager, presented on IP management and everything that companies can do themselves, IP-wise, to save money. Haakon Thue Lie, Co-Founder and Partner, presented on IP Strategy, IP Asset Management, and the latest research findings on SMEs use of IP. In addition to companies participating on-site, the seminar was live streamed to INNOLABS companies across the EU. Norway Health Tech is healthcare focused industry cluster, gold label certified through the European Cluster Excellence Initiative (ECEI), and a Norwegian Centre of Expertise (NCE). Norway Health Tech has a vision of making Norway the world’s best arena for health innovation. They are a non-for-profit member organization with more than 220 members in their base – representing the full value chain of healthcare. Norway Health Tech address all areas of human health – with an eye for technology. They provide better healthcare solutions for all, through the dissemination of innovative solutions that answer to unmet medical needs, cross-sector cooperation, and ensure that their members have the best contacts and relationships of relevant stakeholders in the global ecosystem. 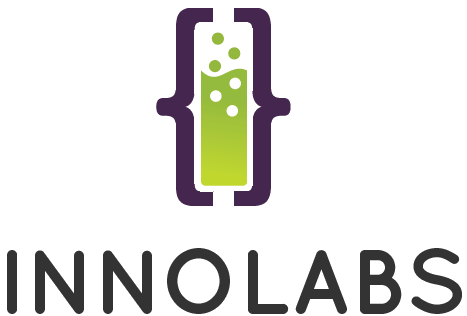 INNOLABS project aims to foster collaboration, transfer of knowledge and opportunities among SMEs from different countries and sectors in order to develop, improve and deliver disruptive technologies mainly related to mHealth, personalized healthcare and ageing populations. INNOLABS will select more than 100 innovative project ideas to accelerate and further support monetarily and with innovation services. The project commenced on 1st of January 2017, has a duration of 2,5 years and is supported by Horizon 2020, the EU Framework Program for Research and Innovation.